Worms in cats, what a horrible thought! However it is something we all as cat owners have to think about and protect our felines friends from to prevent unpleasant symptoms and in some cases serious health issues. Even if your cat is kept meticulously clean all the time it is impossible to ensure that your cat will always remain worm free. They can pick up the larvae so easily from a stray flea or mite and so it is important that cats are treated against worms periodically. Also is should be remembered that one dose may not fully rid your cat of worms in one go. This is because the treatments kill the adults but not the larvae and so a second dose may have to be given to kill the larvae once they have matured into adults. However it is always best to check with the recommendations from your vet or the instruction on your medication, as new treatments are being developed all the time. Preventing worms in the first place is good cat care and your vet will recommend a regular worming routine to keep your cat healthy and free from these parasites when you have your cat vaccinated. Kittens - are more at risk from roundworms than an adult can and should be treated from about 4 weeks old and then every 2 weeks until they are 4 months old. Adult cats should be treated against all worms every 2 to 6 months depending on whether or not your cat is a regular hunter in which case they may need to be treated more often. Travelling - If you are travelling abroad with your cat you must administer treatment for tapeworms 24 - 48 hours before returning home to prevent disease being imported. 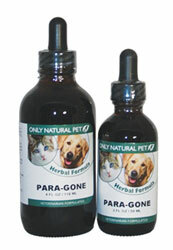 They can be obtained either from your vet or over the counter. However it is important that if giving the treatment yourself that you ensure that they are administered correctly to make sure of adequate protection for your cat. Worms in cats is something you definitely want to make sure does not happen to your feline friend. After all a cat free from worms will result in a happy cat. It is important that worming treatments are given at regular intervals to ensure that your cat remains worm free. Often the vet will give a treatment at the same time of the yearly booster vaccinations. 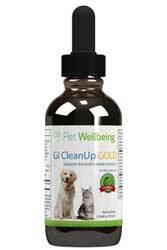 If you prefer to treat your cat with natural treatments there are a few available which help prevent various types of worms.